Indeed, the synergy between radio hosts and authors is genuine. Hosts love authors because they consider them experts in their fields, and authors love to go on radio to promote their books. Authors are in high demand. I am on-line publicist and recently proposed sending bios of some of my authors to a host of an entertainment show and he wrote back that it would be nice to have authors on for a change. He probably is used to interviewing musicians and artists who haven’t written books. Radio is not the only promotional tool, but invariably the host will tout the author’s book several times during the show. Sometimes hosts are so enamored with the guests that they go beyond the pale. One host so liked a book on dieting by a client that he recommended it to his book club. Another client, a film critic, apparently charmed the host because she offered my client a regular spot on her show. Some hosts are also effusive in their praise and provide glowing testimonials, which I add to the client’s bio. Do radio interviews help sell books? The jury is out on this. Years ago, when there were far fewer radio stations and no Internet, Wayne Dyer filled his station wagon with copies of his first book, Your Erroneous Zones, and headed west to do as many radio shows as possible. The book ultimately became a best seller. Scott Peck also began by doing three radio shows a day to help sell his first book, The Road Less Traveled, which was on the best seller list for 12 years. I asked two clients who have done numerous radio interviews about their experience selling their books on radio. 1. The interviewer does not have a broad enough listening audience. 2. Few or none of the interviewer’s audience read books. 3. The interviewer does not mention the book source often enough. 4. The listeners are on the move, driving, having no opportunity to write down anything. 5. The subject is of no interest to the interviewer’s audience. This illustrates that the line between a radio interview and book sales is skewed. Walter feels that listeners may be buying his book long after the radio show. Disappointed in selling books on the air, Saul felt that some listeners might be more interested in his lectures. When you’re on the air, be in on the Internet or terrestrial radio, you never know who’s listening or what listeners will take from the interview. I am editor of Book Promotion Newsletter, a bi-weekly ezine that has been published every other Wednesday since March, 2003. When I first proposed on-line representation for $60 a year, to include the newsletter, many of my subscribers jumped at the chance. In fact, it was easier to collect the $60 than the $5 annual fee originally charged for the ezine! Authors are always anxious for exposure. As both a publicist and a radio host, I know what hosts want: Hosts are in the business of entertainment and want their audience to learn and laugh. Those who are lively, comfortable talking on the radio, and can give listeners valuable information are a shoo-in. If you want exposure, radio interviews are free and you can do the interview from home in your pajamas. Why not take advantage of this popular medium? Remember – radio hosts NEED guests. 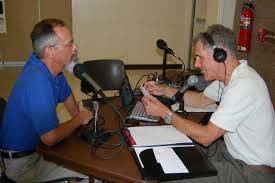 The most popular topics on talk radio are business, politics, self-help, sports, health, entertainment and New Age. Not only are there more shows with those themes, but the more shows the more competition for guests. How do you prepare for an interview? Listen to the show – for both content and format and Google the host’s name for any information you can glean about his or her interests. What are their likes and dislikes? You might find a hook that appeal to their personal interest as well. However, don’t put too much stock in their bios – most are resumes of past achievements. Search the host’s name and you might discover an interview with the host on Twitter or another of the social networks. Everyone is flattered when folks research them and hosts are no exception. They’ll know you’ve done your homework. NEXT POST Next post: How TurboTax Can Help You Save Money?